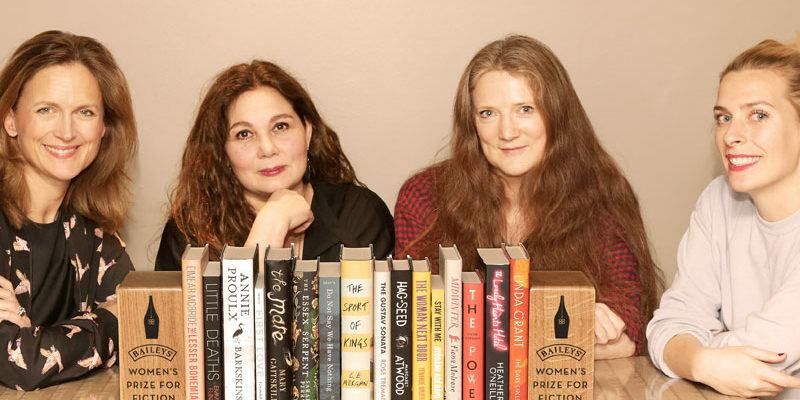 Timed to coincide with International Women’s Day, the Baileys Women’s Prize for Fiction announced the longlist of 16 nominees for the prestigious literary award. The prize is for a full-length work of fiction in English by a woman anywhere in the world (previously, the award had been limited to writers from the UK and Commonwealth nations). This year’s finalists include well-known authors such as Margaret Atwood, Mary Gaitskill, and Annie Proulx, and debut novelists like Ayọ̀bámi Adébáyọ̀̀, Emma Flint, and Fiona Melrose. Past winners Linda Grant, Eimear McBride, and Rose Tremain return to the longlist as well. This year’s nominees hail from the US, the UK, Ireland, Canada, South Africa, and Nigeria. The selections were made by an all-female panel of judges: CEO of House Productions Tessa Ross, broadcaster Katie Derham, comedian Sara Pascoe, writer Aminatta Forna, and journalist Sam Baker. The shortlist of six novels will be revealed on April 5, with the winner to be announced at a ceremony on June 7. The winner will receive 30,000 GBP (USD $36,465).